When the guests walk to the kitchen the main thing they watch is the counter top. If a good stone is used then it is appreciated and the taste of the house owner is recognized. All these days there were marble, sandstone, and granite for the choice of countertops. Now a new stone is in the market and that is the Quartz. Remodeling shows and Television designs, trade magazines, and interior designers are appreciating quartz and they are used by them. Countertops, waterfall islands, and backsplashes are mostly used by the present designers and house owners. There are colors of the rainbow in Quartz countertops, it is durable and easy maintenance is the main attractive factors of this stone. The quartz counter tops fit any type of traditional or modern kitchen. Cascade White Quartz has a background of milky white color with gray color veins and flicks. The edges can be finished in many ways. Countertop Edge visualizer gives more options about the array of profiles. This stone can be used in the perimeter and as an island. Pelican white Quartz gives a clean look with soft tones. It attracts the viewer’s eye with its beauty. Kitchens with white stone are always attractive. Arctic white Quartz matches with the white and natural wood cabinet perfectly. Prefabricated Quartz and Quartz slabs have resistance to scratching, chipping and etching. This stone is perfect for meal preparation, arts and crafts and entertainment purposes. There are solid white quartz countertops and natural stone-look quartz. White and gray marble is also available in the market which needs maintenance to keep the surface shiny. But in Quartz countertops sealing is not necessary for getting the shine, luster, and durability. Calacatta Classique Quartz is perfect for Waterfall Island or countertops. Here maintenance is not required but the natural look is maintained. There are no pores in quartz and thus is one of the hygienic surfaces available in the market for the kitchen and bathroom. The surface is smooth and does not allow the growth of bacteria. Gray Lagoon Quartz is the best for kitchen, living room and dining room. It matches with the contemporary design. Maintenance of quartz is very easy. A mild soap, water, and a sponge are enough to give a shiny surface. Quartz is maintenance free, durable, beautiful and easier to clean. Virtual Kitchen Designer has many options for the dream kitchen. 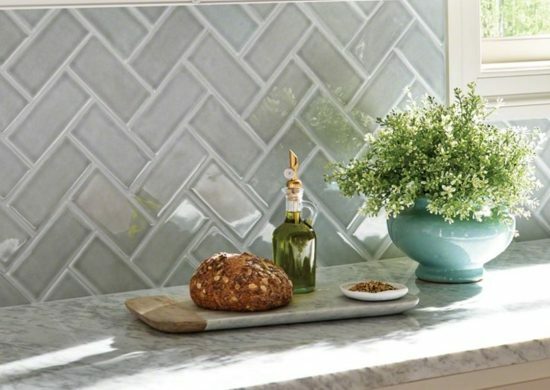 It explores the quartz options and backsplash options.